A meeting is set for tonight in northwest Iowa to discuss the issue of puppy mills. Jen Johnson-Ross, with the Emmet County Animal Shelter, says a report issued this year by The Humane Society placed Iowa fourth in a ranking of the states with the greatest number of problem dog dealers. 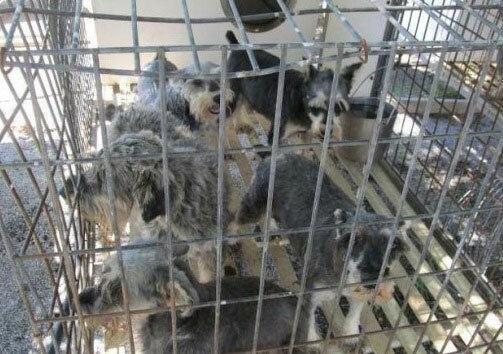 The Humane Society report identified puppy mills in 11 Iowa cites; Bussey, Kingsley, Jolley, Osage, Doon, Rock Valley, Milton, Dows, Kalona, Westside, and West Point. Johnson-Ross says, if you’re purchasing a puppy online, you should meet the seller at their home — rather than a “third party” location like the parking lot of a business. “You know, if they’re not letting you come to their house to see the breeding parents, then what are they hiding?” Johnson-Ross said. Missouri and Kansas have the most puppy mills, according to The Humane Society, followed by Nebraska and Iowa. 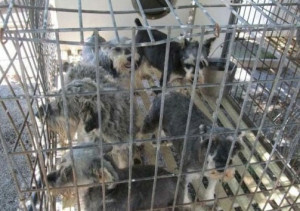 Today’s meeting about puppy mills is scheduled for 5:30-6:30 p.m. in Hedburg Auditorium at Arnolds Park Amusement Park.